The mission of the Department of Ophthalmology is to provide our patients with quality, state-of-the-art ophthalmic care in all subspecialties of ophthalmology. UVA Ophthalmology is committed to excellence in education. We offer a fully accredited ophthalmic residency program, and Glaucoma and Retina Fellowship programs. Our division offers comprehensive Ophthalmic care as well as the following sub-specialties: Anterior Segment/Cornea, Glaucoma, Neuro-Ophthalmology, Oculo-plastics, Pediatrics, and Medical and Surgical Retina. UVA prides itself in furthering knowledge of eye care through medical training and research. Laser vision correction at UVA LASIK offers clear, functional vision that may eliminate or reduce your dependence on glasses or contact lenses, help you feel better about how you look, and save you time every single day. The three-year residency program is designed to provide the resident with gradually increasing responsibility. 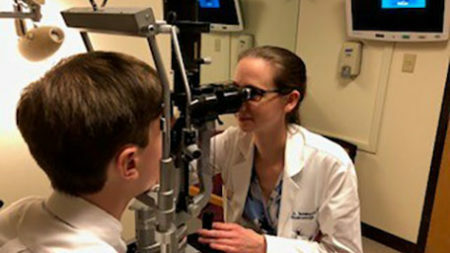 The Department of Ophthalmology at the University of Virginia offers a one-year clinical glaucoma fellowship and sponsors a two-year Vitreo-Retinal Fellowship. 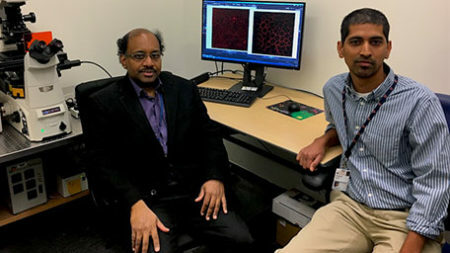 Macular degeneration robs millions of people of their sight, and now we know what triggers the inflammation that causes it. Humphries Physician Symposium is dedicated to providing the clinical Ophthalmologist with opportunities to increase. The Humphries Technician Program is also held in conjunction with the physician program. The program is designed for all Ophthalmic Medical Personnel.